I went way out on a limb for this picture – literally. I climbed a tree and layed on a limb that was hanging out over the pond to shoot down into the water. 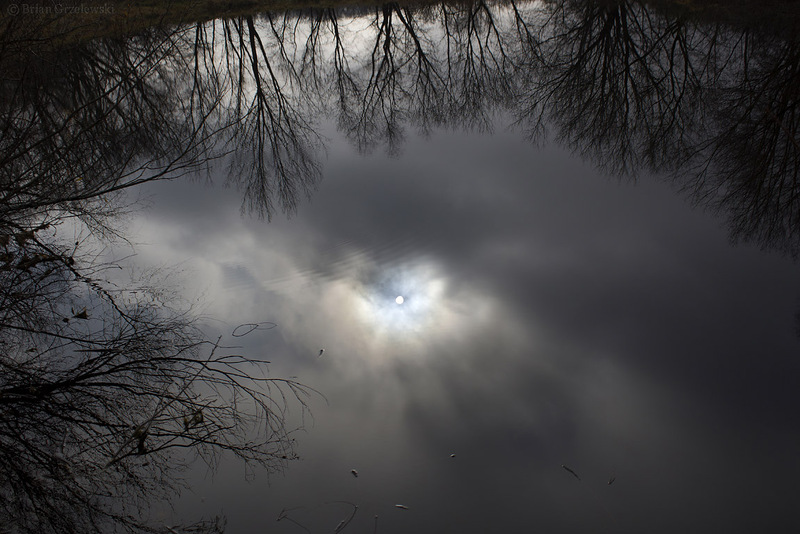 The sun peeked through an otherwise cold, cloudy day in the Chicago suburbs. I caught a bit of a cold and the car seems to be dying since I got back so it seemed appropriate to post a picture that felt like this. My two boys and I went wandering around with our cameras in the forest. The terrain her provided an excellent setting for their impromptu adventure playing. Which was a perfect time for me to set up a nice shot. 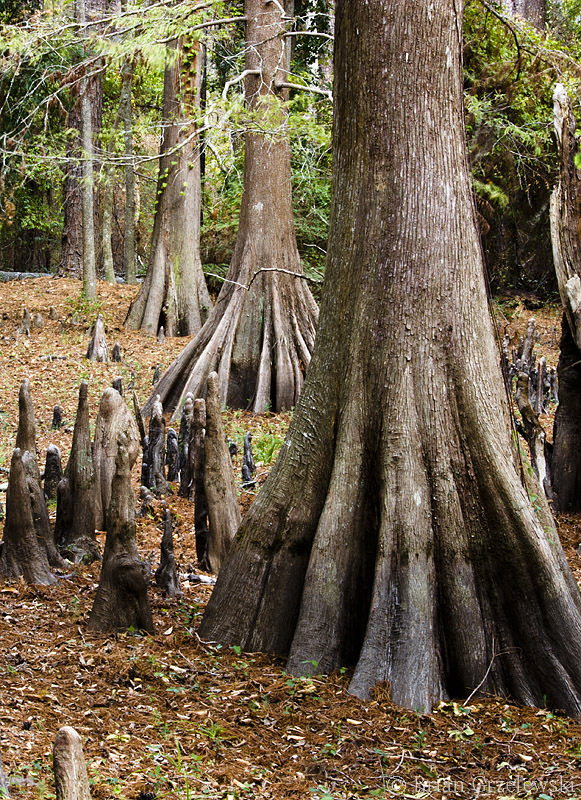 The trunk of these “Bald Cypress” trees flare out in cool patterns. Also, those “knees” sticking up next to them are part of the tree. Prints of this photo and other favorites are available on BriansArt.com. 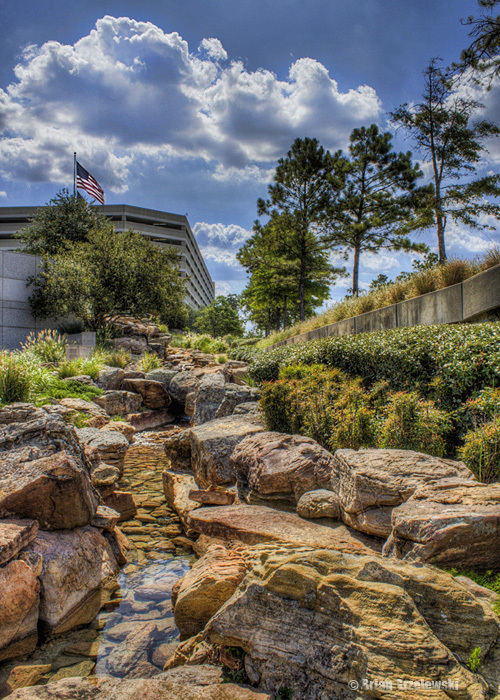 Hidden between a bridge and an office building was a pretty little creek with clear water trickling through. It was a warm day with a breeze making the flag fly. A good day in The Woodlands, TX. 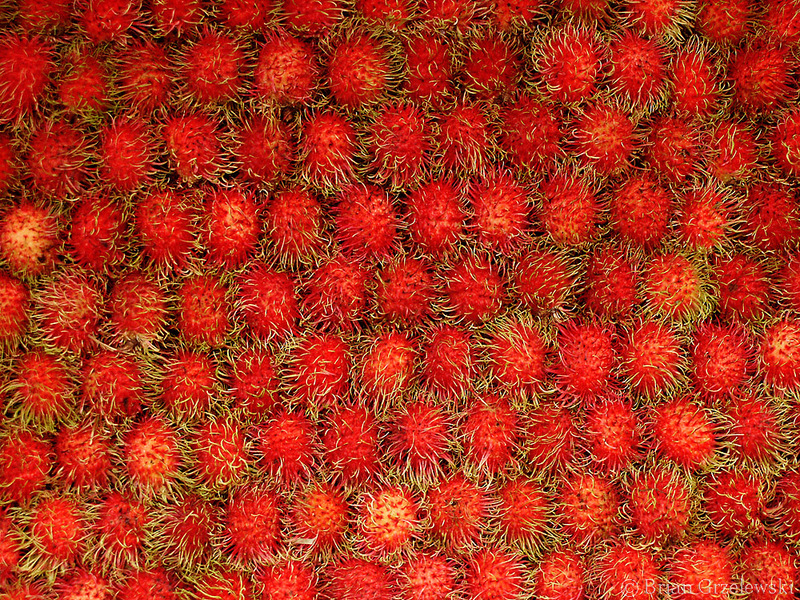 This is a delicious fruit that is popular in Asia but I rarely see them at all in the US. I don’t know why. They’re red. They’re fuzzy. They’re sweet and juicy. What’s not to like? We get other foods from as far as South America. Must be that it’s just hard to get people to try new things. 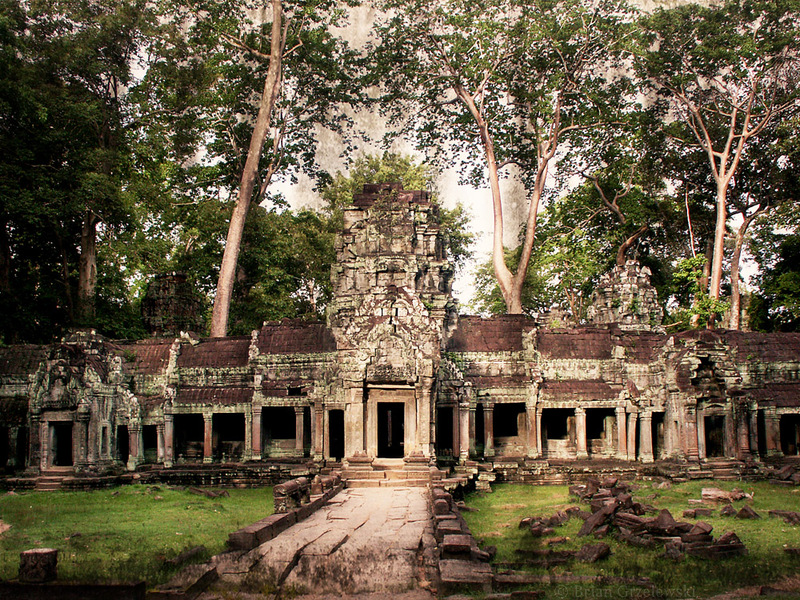 There are many temples out in the jungles of Cambodia. The care takers have restored some of the temples so that they are close to their original glory. Then, some are left as they were found, with the jungle completely growing over them. Ta Prohm is one of the latter. 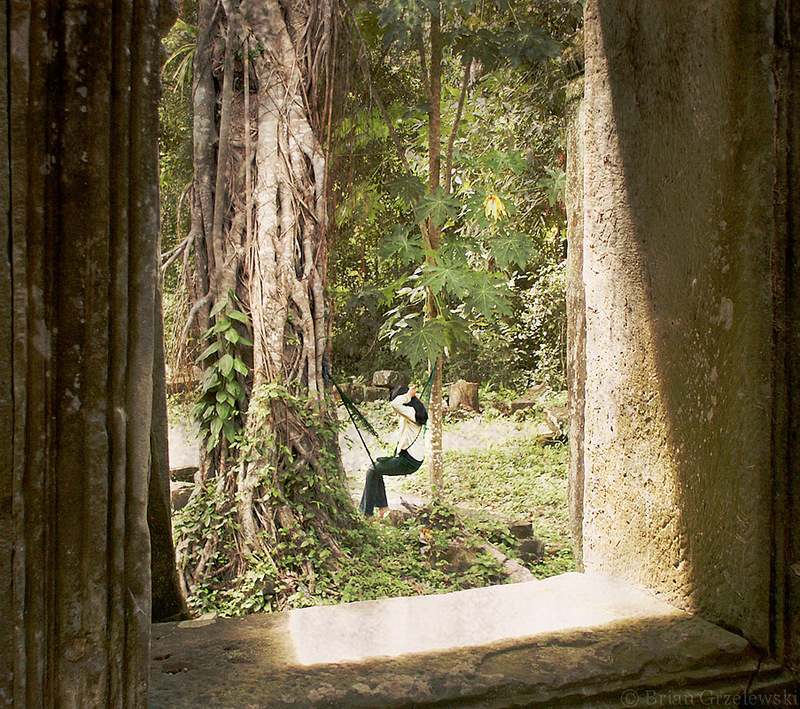 Visitors get to experience the wonder that one might have felt when one first found these ruins out in the middle of the dense jungle. 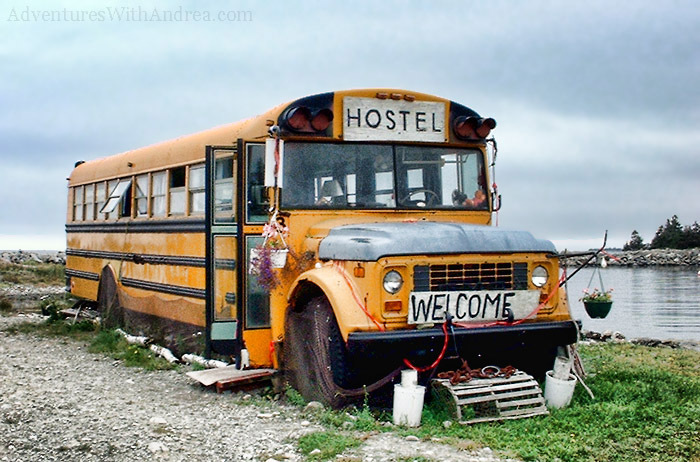 Where to stay when traveling – Hostels? We were just talking about where to stay on our next trip. In the past, I’ve posted about the extremely expensive hotel in the center of Australia at Uluru. At that location, you don’t know what you’re getting until you get there. And virtually no-one has a friend there to tell you about it since it’s way out in the middle of nowhere. Thankfully, everywhere else you go, you usually have a choice of hotels. When we didn’t have kids, we would look to stay in hostels. (Ok, not like the one in the picture here. That was just something fun to look at). Most of them are essentially inexpensive hotels. After staying in a few hostels, it’s less intimidating. I knew what to expect. Some were quite nice. We stayed at a hostel in Prague that was every bit as nice as local hotels except the bathroom was just down the hallway outside the room. 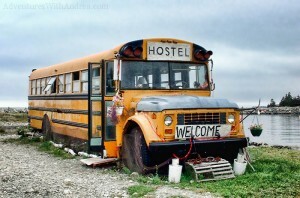 And, it’s probably easier now than ever to find a good hostel since there are sites like Hostelworld. They are a sponsor for Adventures with Andrea but, really, their site looks pretty good. And travel is so expensive, I know we can go more places if we can keep costs down. I don’t need a fancy restaurant in the downstairs lobby. 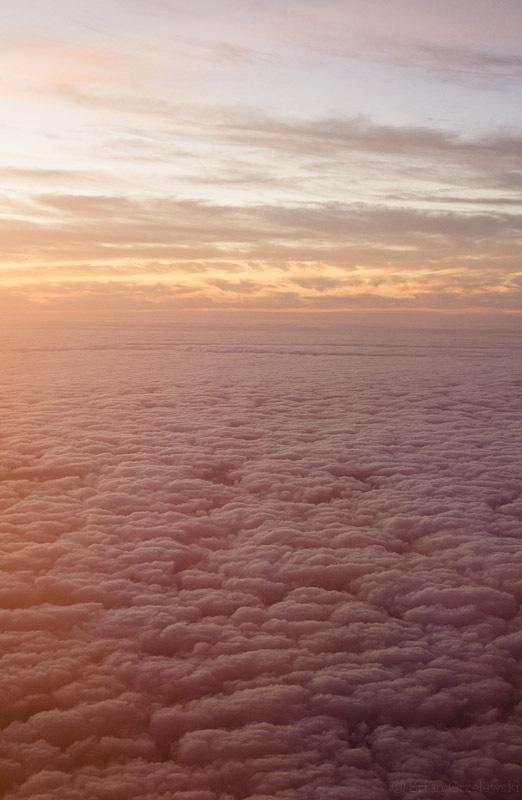 I usually just want a place to sleep and go out adventuring all day. Recent fires in Texas have destroyed more than 1000 homes. This is a home in a nearby town of Magnolia. There were nearby homes that were spared. 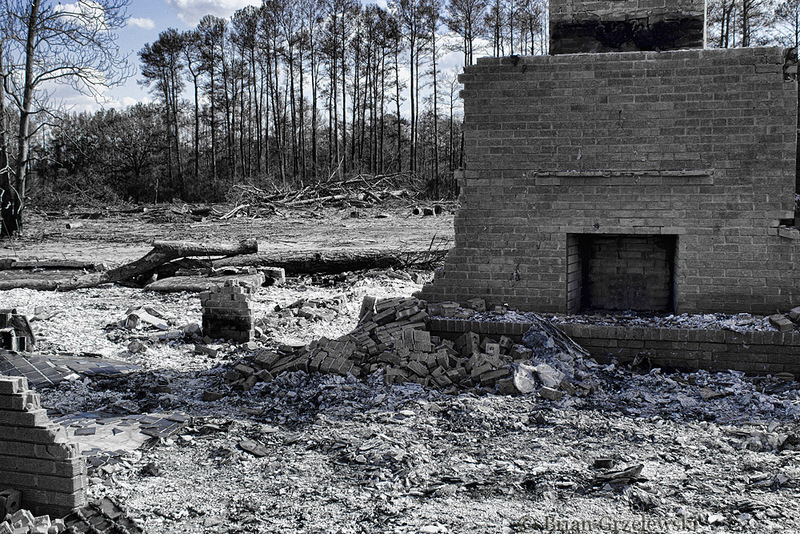 Driving by, we had to imagine what it would have been like come back after the evacuation to find nothing but ashes and rubble where the living room used to be. 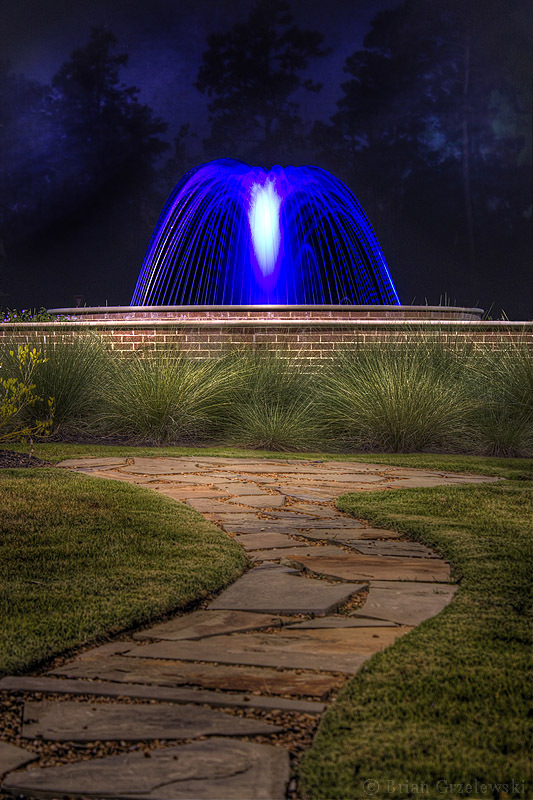 The Woodlands, TX has a few peaceful places. This fountain is outside a local restaurant.